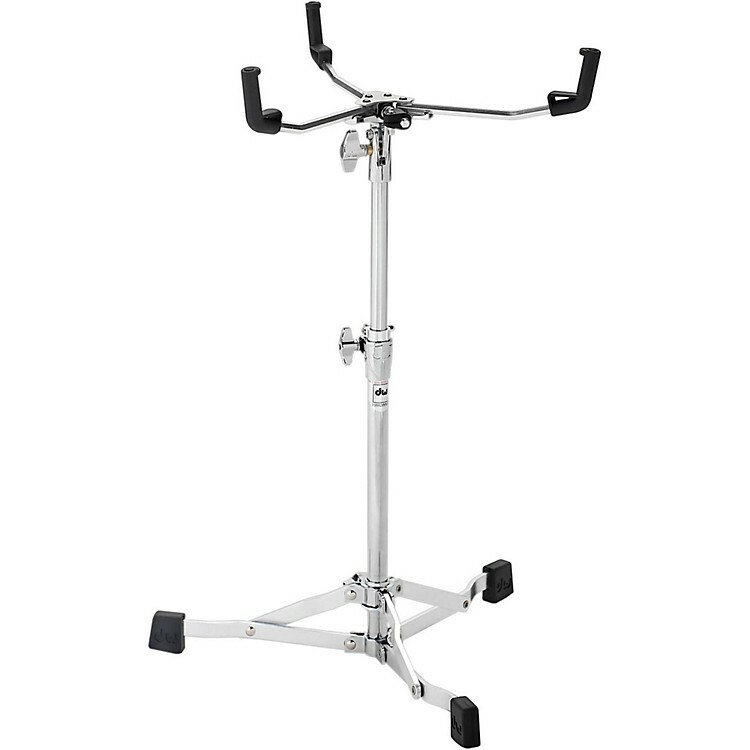 A scaled-down version of the popular lineup of 6000 Series retro-styled, flush-base hardware, 6000 Series Ultralight stands utilize smaller diameter, lighter gauge steel tubing and a low-mass tube joint for optimal portability. Other marquis features include a new Glide Tilter for exacting adjustment of cymbal and snare drum angles. An "old-school" snare basket design get a modern, spring-loaded make over and the hi-hat stand is as smooth and effortless as its 6000 cousin. Ultralight hardware is a perfect fit for bop kits, vintage sets and gigging drummers everywhere. Note that DW products are not available for further discounting online. It does the job well, makes your hardware case lighter, and is affordable, too. Order today.